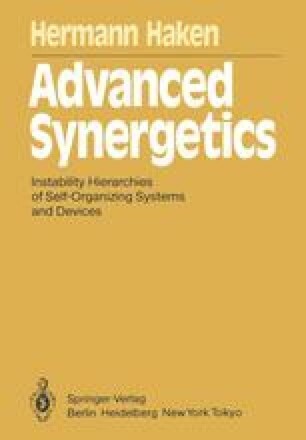 Synergetics deals with systems composed of many subsystems, which may be of quite different natures, such as electrons, atoms, molecules, cells, neurons, mechanical elements, photons, organs, animals or even humans. In this book we wish to study how the cooperation of these subsystems brings about spatial, temporal or functional structures on macroscopic scales. In particular, attention will be focused on those situations in which these structures arise in a self-organized fashion, and we shall search for principles which govern these processes of self-organization irrespective of the nature of the subsystems. In the introduction, we present typical examples of disorder — order or order — order transitions in various fields, ranging from physics to sociology, and give an outline of the basic concepts and the mathematical approach.